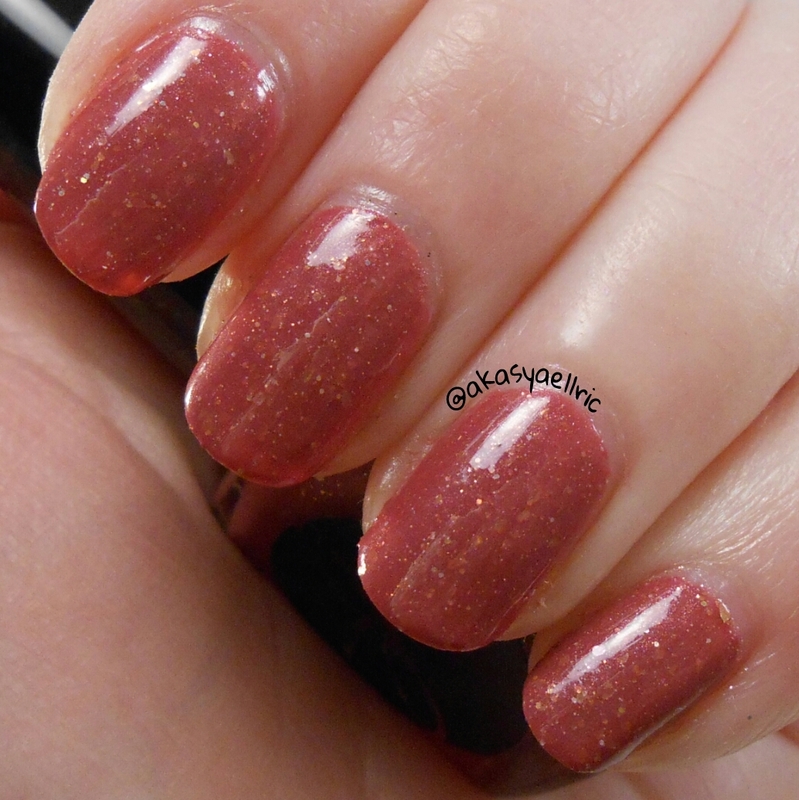 I recently recieved a press package from Jior Couture with three polishes for swatch/review. Jior Couture is a new to me brand so I was excited to try them out. I was sent This Is So Tinsel, January 2015 and February 2015. With no further ado, let’s get to it! First up is This Is So Tinsel, a gray crelly with blue, orange, gold and turquoise glitter. This is apart of their 2014 Holiday Collection and was inspired by the short film Prep and Landing. As you can see, there are plenty of glitters in this one. I used three coats for opacity, but you could totally use one coat as a topper. Formula was awesome with no fishing and dried relatively quickly. Products used: Dainty Digits Polish Glitter Be Gone basecoat, Jior Couture This Is So Tinsel, I, A.M CustomColor DiamondPRO topcoat. Up next is January 2015, their color of the month from January of course. It’s a dark salmon color with gold flakes. The gold flakes are very subtle on the nail, but still beautiful. I used two coats for opacity. Formula was a breeze to work with and dry time was good. 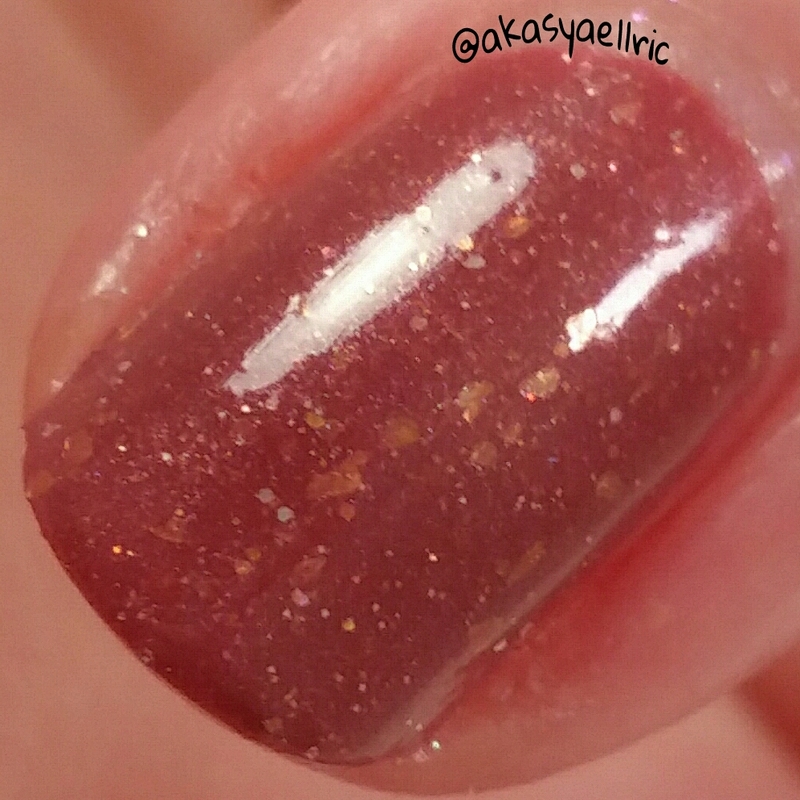 Products used: Dainty Digits Polish Glitter Be Gone basecoat, Jior Couture January 2015, I, A.M CustomColor DiamondPRO topcoat. Last, and my favorite out of the three, is February 2015. 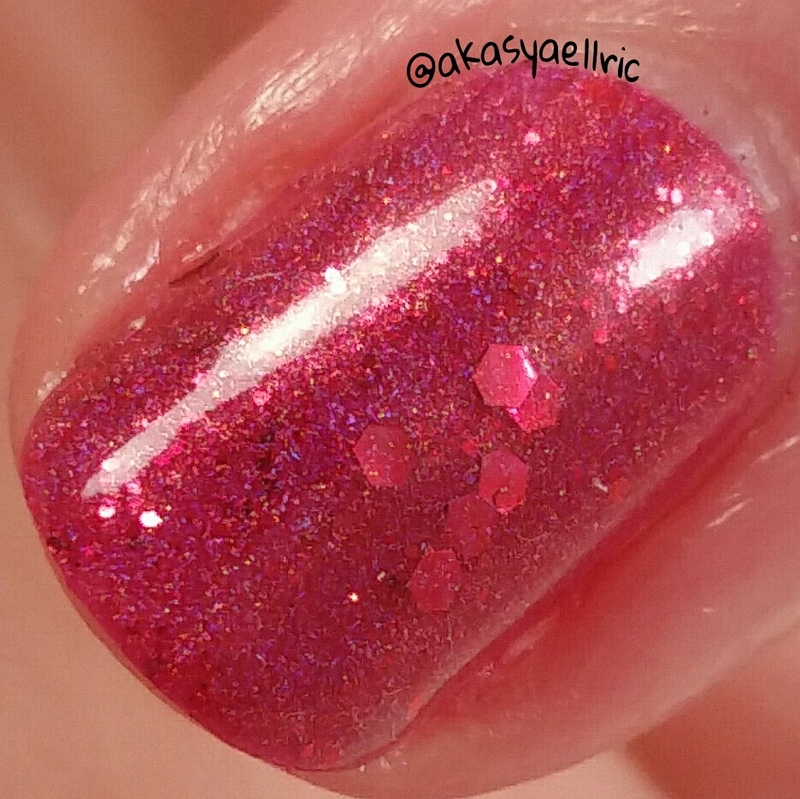 This is a holo glitter packed pink perfection. 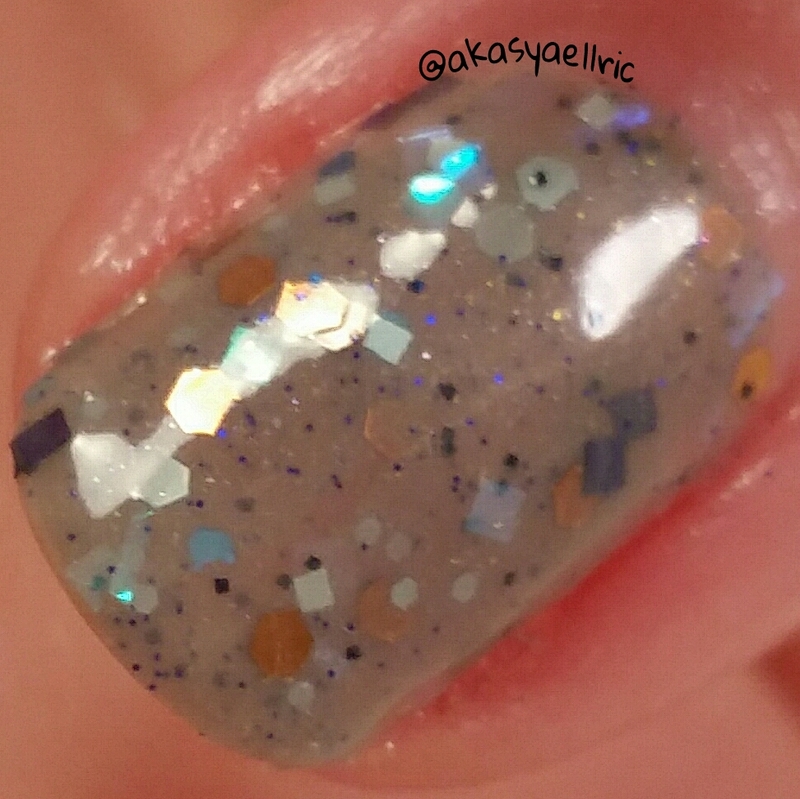 The glitters kind of hide but when they show it gives the polish a whole other dimension. As you can see, this one is an absolutely beauty. I did three coats for opacity, formula was great with good dry time. This is a great addition to any pink lovers collection. Products used: Dainty Digits Polish Glitter Be Gone basecoat, Jior Couture February 2015, I, A.M CustomColor DiamondPRO topcoat.